Based on the images. They will have the 2k12 Turtles. and not the 2018 ones. and its Donatello. Oh? cause on my screen it looks purple. Two swords on his shell didn't give it away? Now its when I noticed. All 4 2012 turtles are in, Arnold, Helga (Hey Arnrold), Tommy, Reptar (Rugrats) ,Patrick , Spongebob and sandy (Spongebob) and more to come. Any confirmation that it'll be on Steam? As of now only for the 3 home consoles, and to tell you the truth I don't see this one coming to Steam. Nice to see the 2012 Nick Turtles, but this game obviously started production way before Rise was a thing so they didn't know about the new show yet back in 2017 or whenever this started development. This might be the last piece of merch the 2012 TMNT are in, unless they get revisited in the future. Hey Arnold vs 2012 Leo, just my dream sudden-death battle come true. Mario Kart 8 Deluxe who? Sonic Team Racing who? Step aside peasants, the real racing game has arrived. Ugh... the cover art is off model it's distracting. I just can't take these action heroes seriously alongside Spongebob and Hey Arnold, lol. 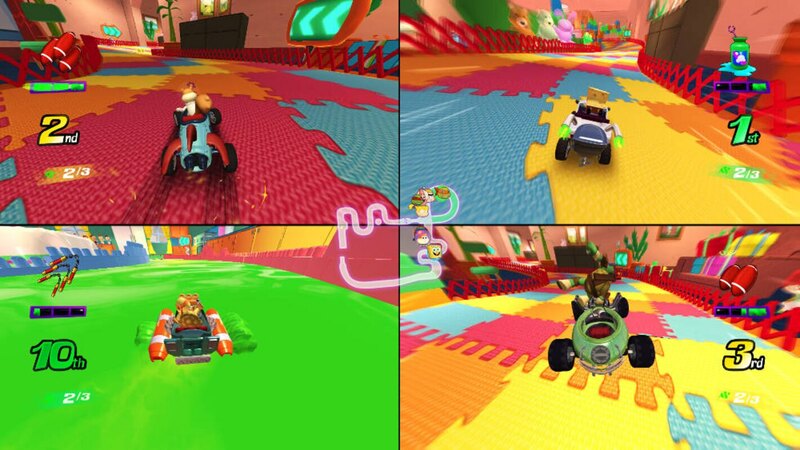 I remember how after the smash success of Mario Kart 64 in the late 1990s, everybody had to do a variation of the concept, and just about always included "Kart" in the name somewhere. It's funny that trend hasn't died out at all. 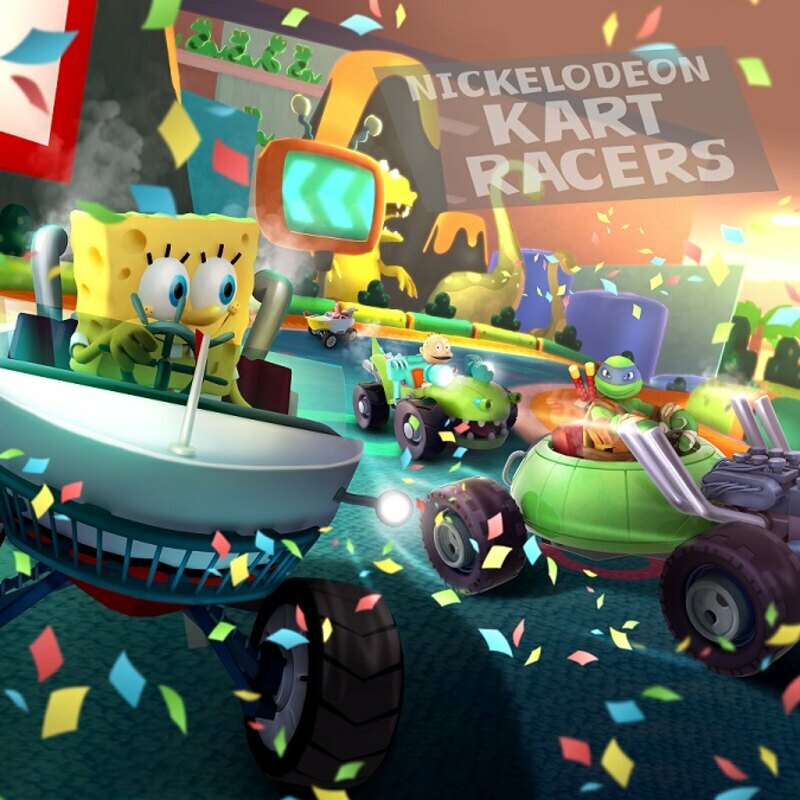 I'm not expecting much from this game, but as a fan of 90's Nickelodeon and Mario Kart, I'll probably play it. I'd like to see the character roster.